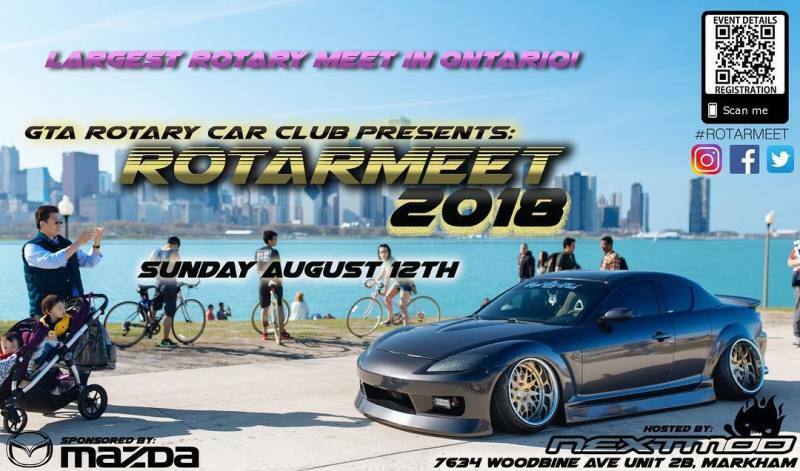 Bigger & Badder!Rotarmeet 2018, follow link in profile for more information and show registration. Last year was awesome, this year is going to be HOT, featuring DYNO Competition, Loudest Exhaust, and many classes to participate. Look forward to seeing you all there!! Last edited by Neo; 04-05-18 at 09:27 PM. Thanks for the heads up. All fixed now. Last edited by yurcivicsux; 04-09-18 at 08:09 PM. I think we should do a 7's day (July 7) as well. It's a Saturday this year and it doesn't need a formal setup. a seven's day cruise and a lunch would be awesome. Sounds great I will be there with my FB. Gotta remember.